Alia Bhatt and Ranbir Kapoor's relationship needs no introduction. The couple is happy in their space and there's no trouble brewing in their paradise whatsoever. While we have seen pictures of her being 'upset' with her beau or a video of them having a fight inside her car, she insists all is well between them. And while the duo is happy in their space, a wedding is not on the cards anytime soon. Yes, we earlier informed you about how the couple is keen on tying the knot this year and their families have even discussed the dates for the same. However, if Alia is to believe. there are no wedding bells ringing for her as she believes she's too young for it. Alia Bhatt Opens Up On the Viral Video of Her and Ranbir Kapoor Having a Fight! When DNA recently got in touch with the actress to discuss their rumoured wedding and if it's really happening, she said, "I don’t understand the need for everyone to discuss this (my wedding) all the time. But then, I think to myself that it’s a simple question and my answer remains the same. If I’m not getting married right now, that’s what I’ll say. 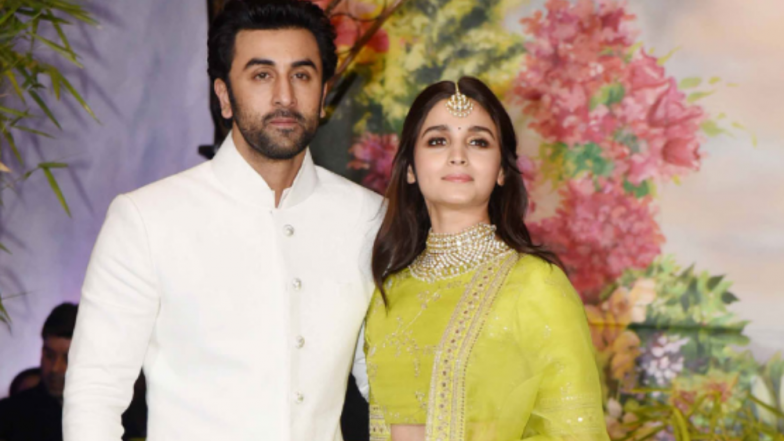 I’m happy being in a relationship, but that doesn’t mean I’m tying the knot just yet.” Ranbir Kapoor and Alia Bhatt Celebrate Valentine's Day With a Yummy Chocolate Cake and We are Getting The Sugar Rush! See Pic. When asked if there even a date for her D-day and she simply refuted saying, "I’m too young to think about it. When I feel there’s a need to be in a stronger bond with him, we will come to it. But right now, I’m married to my work and I also have my relationship going well on the side." Well, guess B-town will see no big fat Indian weddings this year unless Malaika Arora and Arjun Kapoor decide to settle down obviously.